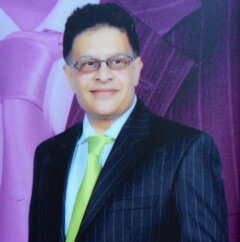 Suresh migrated to NZ in 1983 with a background in the medical profession. However, when better opportunities were presented Suresh set up a small food retail business before moving on to the establishment of a large scale food import, wholesale and distribution business over 30 years ago. The company has branches in Auckland and Christchurch and currently trades as Service Foods Ltd-SFL (once part of Goodman Fielder’s food conglomerate distribution division). SFL is the largest member of Countrywide Distributors NZ (CDNZ), a 16 branch strong buying/distribution group through which the company delivers its goods throughout NZ. SFL operates from the warehouses/distribution centres in both Islands that cater for the business needs now and for the future. Due to its vast range (up to 9,000SKUs) which is imported from throughout the world (17 countries), SFL cover major groups of customers within food service industries. Currently the company supplies dry goods (mainstream and speciality groceries), chilled and frozen foods, seafood, poultry, meat, fresh fruit and vegetables. In 2009, SFL was a winner of Deloitte`s fastest growing `fast 50 company’. Service Foods Ltd is a 100 % family owned and operated company, employing over 120 staff directly and thousands around the world indirectly. Most of Suresh’s time is devoted now to property developments, acquisition, maintenance and investments for the trust as well as acquiring the building and developing the infrastructures for the current and new branches for SFL. He also devotes time for community service and holds the position of President of Indian Social and Cultural Club in Christchurch. He has always been a strong supporter in making a difference in the community and a few years back he set up a scholarship programme for the Polytechnic Professional Cookery School students in Christchurch. Suresh has a passion for wildlife and would love to set up a foundation someday to save endangered species of Tigers in India, for which some work has already begun.